I Take part in this exhibition with the John Constable verso of the Stour Valley, a painting sold in Nice in 1943 under Vichey government to a private collector who later donated with others works to the museum of The Chaux de Fonds, CH. After severals years of proceedinds this painting is returned on march 12, 2018 to the the descendants of the Jewish falilly robbed. 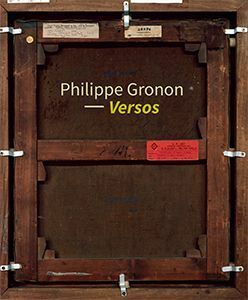 Just when he took office at the direction of Chaux de Fonds Museum in January 2018, David Lemaire ordered me the picture of the verso of this work before the restitution.